If you have any questions or want to enquire about dates, use our form to contact Charles & Jane Ritchie or see their website for more information. 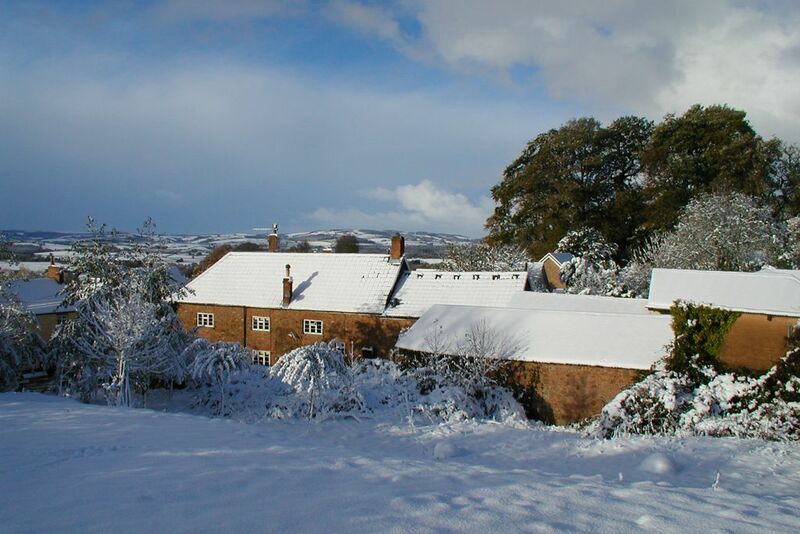 A feeling of warmth and happiness pervades this exquisite 17th-century farmhouse in the Quantock Hills. The Ritchies love doing B&B – even after over 20 years! – and interiors have a homely feel with well-framed prints, natural fabrics, comfortable sofas, and a sitting room with inglenook, sofas and books. Bedrooms are pretty, fresh and large and look over the cobbled courtyard or open fields. Charles and Jane couldn’t be nicer, know about local walks (the Macmillan Way runs by) and love to cook: local meat and game, tarte tatin, homemade bread and jams. A delightful garden rambles up the hill; the pub is just a minute away. Dinner £27.50. Supper £22.50. Pub 75 yds. My wife and I plus two friends spent five nights at Bashfords Farmhouse. Charlie and Jane were the perfect hosts, welcoming , friendly and happy to advise on all sorts of places of interest to visit in the area. The breakfasts were great and they also prepared dinner for us all on two nights. The food was excellent. The bedrooms and the personal sitting room were were comfortable , clean and warm, and certainly more than adequate. You needed a car in the area, but there were many lovely walks in the surrounding countryside of the Quantock Hills. The whole visit I can highly recommend. Charlie & Jane are superb hosts who made us feel very welcome. Breakfast was great , especially Charlie's bread, the best home made bread we have ever tasted! We appreciated tea on arrival and were offered it the following days too, whereas some places just give it to you on arrival. We had a very good meal in the pub a minutes walk up the road. What really makes this but there are also other good eateries a few miles away . Good walking on the Quantocks & interesting houses & beautiful gardens fairly close by. But what makes this place special is the charming hosts. Thank you very much! We had the most enjoyable stay on our way to Cornwall so much so that we asked if we might stay again on our return. Everything we could have wished for and more was provided by the wonderful owners. Our room was lovely and the bed extremely comfortable. We ate dinner and breakfast on both our stays and were delighted by the quality of the ingredients and skill with which they were prepared and presented. Charles and Jane were extremely helpful and it was a huge pleasure to meet them. A really great start and end to our west country holiday. This is our 12th stay at bashfords. Charlie and Jane are welcoming, friendly and considerate regarding the needs of travellers and tourists. The house is a haven where you can relax and enjoy down time. Jane cooks the best scrambled eggs I have ever tasted. The warm welcome you receive at Bashfords is second to none. Jane and Charlie made us feel very welcome, with a pot of tea and shortbread on arrival. The evening meal was delicious and abundant! The attention to detail at this b & b is exceptional and would recommend to anyone who wants a 'get away from it all' experience. The B & B is nestled right in the centre of an area of outstanding natural beauty and the walking is fabulous right from the doorstep. In a nutshell, perfect everything! Fantastic B&B! Made to feel welcome from the get go, lovely comfortable & homely rooms full of character, and a fantastic breakfast to complete the stay. Wish I could have stayed longer!